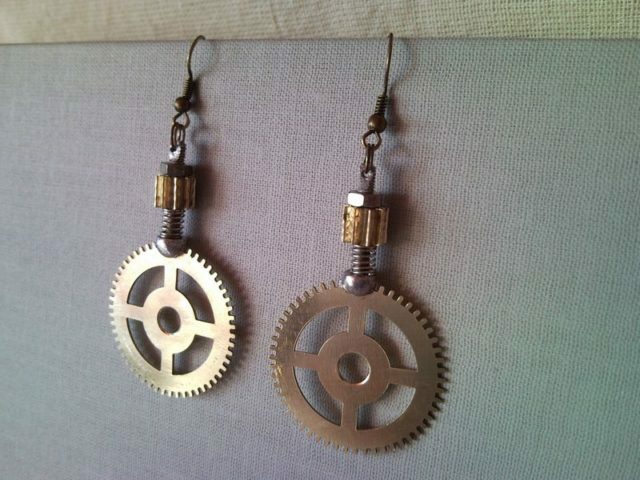 Steampunk style gear earrings from clockwork 2. 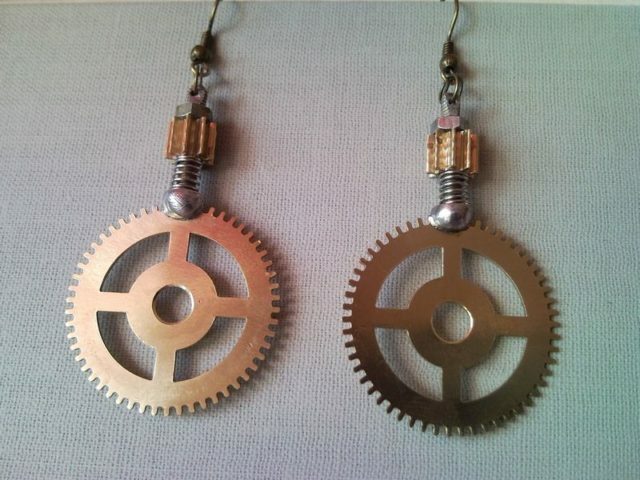 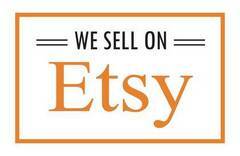 You can buy these steampunk clockwork earrings in our Etsy Shop too. 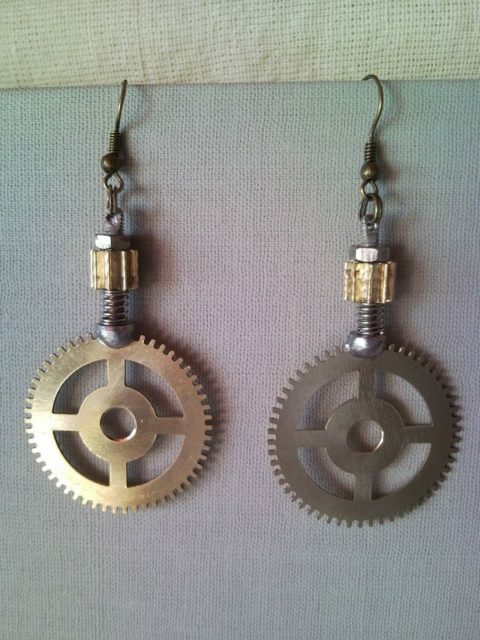 Recycled steampunk style brass cog wheel, gear earrings from an old mechanical clockwork, clock movement, mechanism – or maybe from an old time machine? 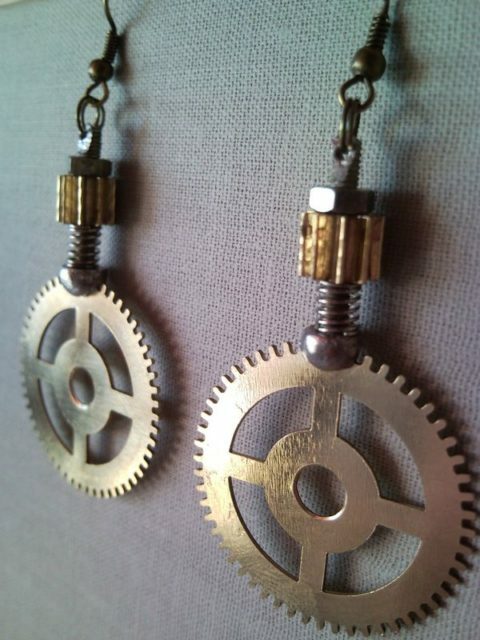 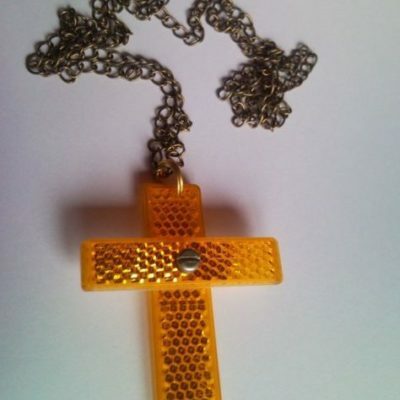 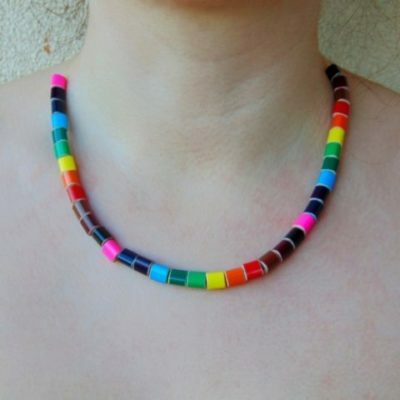 🙂 Assembled with bronze coloured nickel free ear wires and rings. 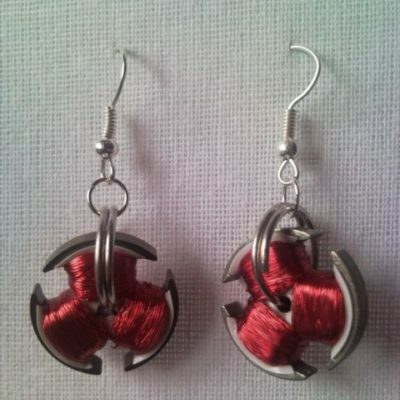 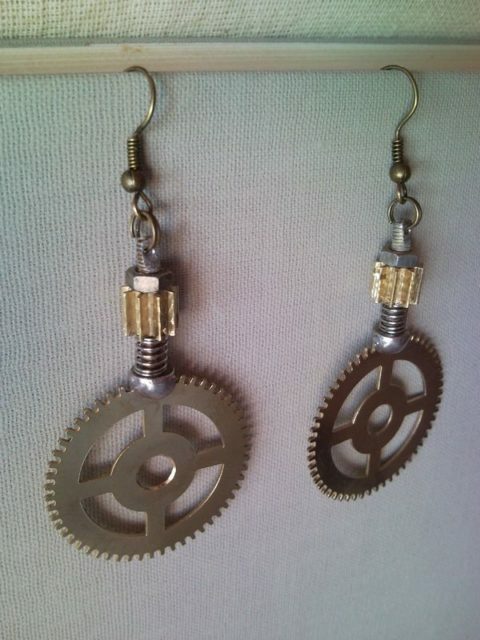 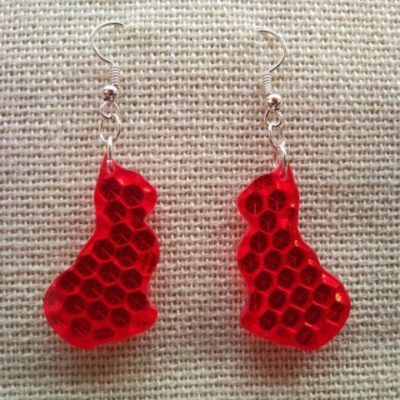 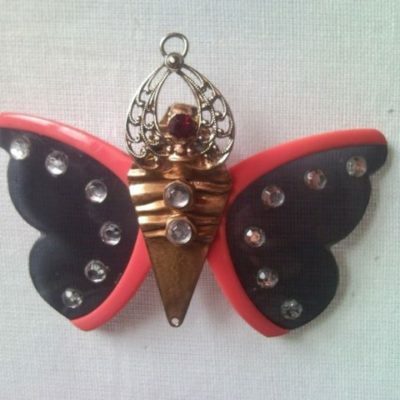 These gear earrings are recommended for steampunk jewelry lovers.